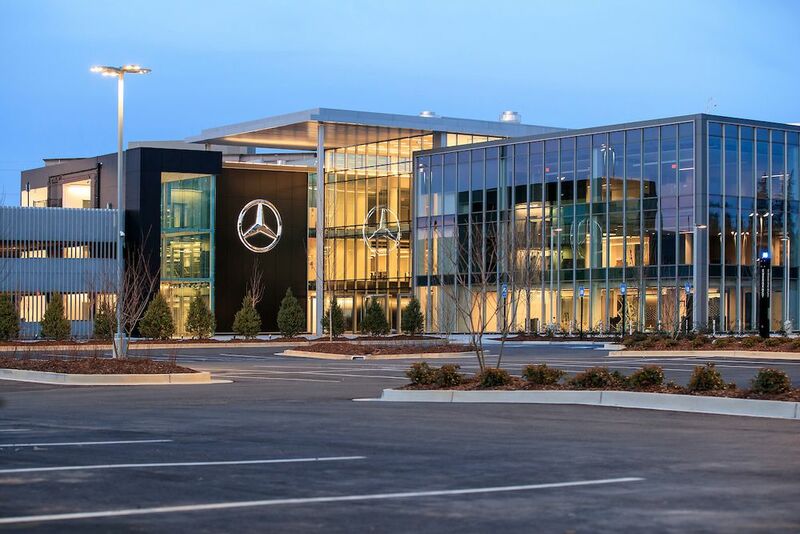 Mercedes-Benz has officially opened their new USA headquarters in Sandy Springs, following two years of construction. The opening is the culmination of several years of work; in late 2014, word got out that Atlanta was attempting to woo the car giant away from its home in New Jersey. A large celebration attended by business leaders and government officials—including Gov. Nathan Deal, Atlanta Mayor Keisha Lance Bottoms, and Sandy Springs Mayor Rusty Paul—was held Thursday to mark the occasion. Guests got the chance to tour the facility and see an array of Mercedes-Benz cars, from the world’s first motor car to a futuristic electric car with the power of a Formula One racer. 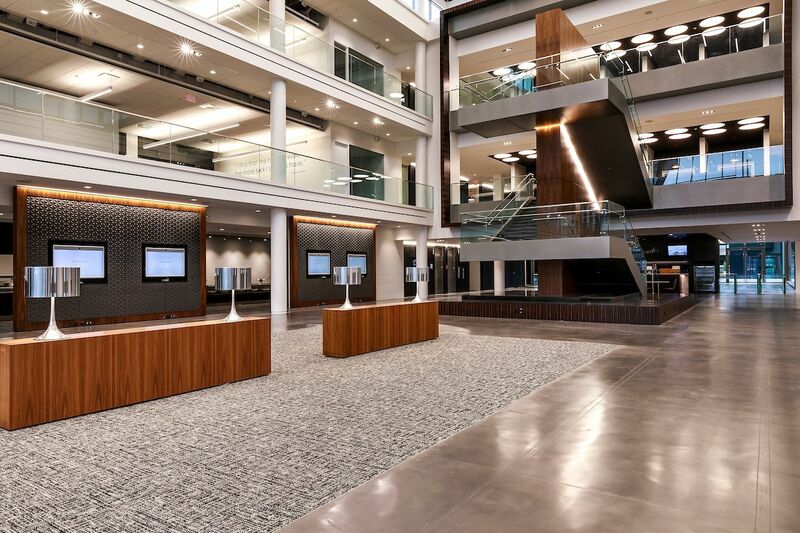 The Gensler-designed facility, located along Abernathy Road near Ga. Highway 400, is a rather minimalist glassy box, with open office zones arranged on either side of a three-story atrium. Work is continuing to bring housing to the surrounding sites. The $90 million facility encompasses nearly 200,000 square feet and will ultimately house 1,000 employees. A gym—which employees will pay $25 a month for access to—and a childcare facility for up to 50 kids are located on the “garden” level, beneath the building. Furniture will be moved into the building this weekend, with employees starting work on Monday.